You know that you have to undergo some kind of treatment to get rid of the infection that is causing you pain, but no one wants to go through that root canal procedure, known as endodontic treatment. But are there any alternatives to having root canal therapy, such as dental implants or other root canal cover-up? More importantly, are any of them painless? The answers to those questions are “yes” and “well, sort of.” So, what are the best root canal treatment alternatives, if any? Root canals represent progress in technology because you get to keep the healthy part of your tooth intact. However, you can always opt for the original way a diseased tooth was treated: have it taken out. An extraction is quite simple. You are sedated and the dentist pulls out the tooth. The area is cleaned, you are stitched up and on your way in a couple of hours. 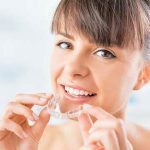 Once you have been cleared by your dentist, you can discuss your options for filling the gap left by the missing tooth. This is the most frequently chosen replacement. 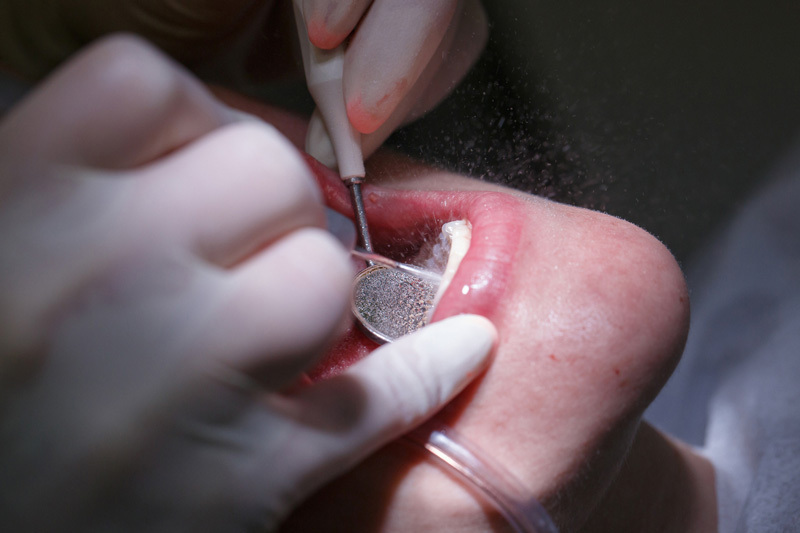 A small device, called an implant, is embedded into the gum. A middle part, called the abutment, screws into the implant, and then the top part, the crown, is fastened on top. There are several benefits to an implant. The crown generally looks and acts as an actual tooth, which helps maintain the alignment and structure of the rest of your teeth. It is also easy to clean and maintain. This is exactly what it sounds like: it spans the gap caused by the missing tooth. Generally, a bridge is made up of two crowns and a false tooth. The bridge is attached to the two teeth surrounding the gap, and the false tooth is held in place via cement or a dental implant. There is a drawback to a bridge, however. The false tooth is usually hollow. This means that proper dental hygiene is vital. If you do not clean your teeth properly, food can get under the false tooth, and then you could find yourself right back where you started. You have seen these before. The denture consists of a plastic base that is the color of your gums with false teeth attached to it. It attaches to your other teeth. A benefit is that it can be easily removed and reinserted, allowing for easy and thorough cleaning. The fourth option after an extraction is to not replace the missing tooth and leave the gap open. Once your gums have healed, you just have a space to contend with. There are mixed opinions as to whether or not this is a smart choice. 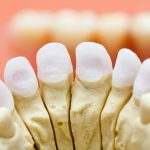 Some people who have chosen this route report that their gums actually become hard, and it is almost like having a tooth in that space (even though it is still a space). Others have said that the gums remain tender and it becomes a nuisance to keep clean. 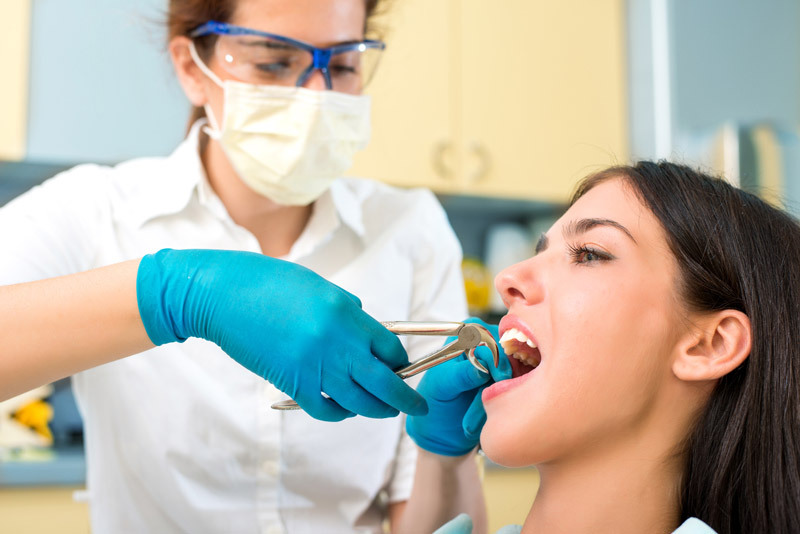 If you choose extraction instead of having a root canal, you can discuss replacement options with your dentist to figure out the best choice for your personal situation. This is just what it sounds like: material is inserted into the root canals to clean them out, thereby killing at least some of the bacteria. This can make it easier for your dentist to save the tooth without having to do a root canal. Now, this option will not entirely eliminate all of the bacteria, nor will it magically make your teeth all better. The best that can be said for irrigation is that it can help reduce the infection and give you a little bit of time to figure out your next step. There are generally two types of irrigation materials: ozone gas and calcium hydroxide. The gas can go deeper into the canals than regular drilling as the ozone penetrates the small roots. There is some evidence that ozone also disinfects the tooth, but this does not mean that it is the perfect solution. There is every possibility that the infection will return. This is an alkaline substance that makes the infected area extremely inhospitable, thereby preventing bacteria from growing. It also has been known to dissolve any pieces of dead tissue that remain in the affected area. However, this is a toxic substance and should be inserted with great care. You would certainly have to weigh the pros and cons of its toxicity, especially as it is essentially a stop-gap measure. As noted, irrigation will generally only postpone the inevitable, which is removal of the tooth either through extraction or a root canal. If you are more of a holistic person, you may like this choice. It is a proven fact that your health, including oral health, can be greatly improved by making healthy food choices. This can be accomplished partially by reading food labels and being aware of the ingredients in your favorite foods. More specifically, cutting out sugary foods and drinks, avoiding grains, and increasing high-quality proteins would be a great start towards a healthier diet. Also, be aware that not everything that contains sugar is obvious (like sodas or pastries). Milk and fruit are also high in sugar. This is not to say that you should cut those two items out of your diet.In fact, they have nutrients that are essential to a healthy diet. But you should take some time to research foods—you might be surprised at some of your findings. While this is the pain-free choice, the obvious flaw in relying on a healthy diet to replace a root canal is that eating a spinach salad will not repair a cracked tooth. When all is said and done, yes there are alternatives to enduring a root canal. However, each of them has their own pros and cons that should be weighed up carefully. Keep in mind that the pain associated with a root canal is usually during the infection prior to the root canal, not the procedure itself. Discuss this with your dentist and make sure that you understand exactly where each procedure will leave you in terms of complete oral health. Only then will you truly be able to decide whether you should go for the root canal or an alternative.